The winter may not be as wet as fall, spring, or even summer, but you can still encounter water damage. The winter may not be as wet as fall, spring, or even summer, but you can still encounter water damage. 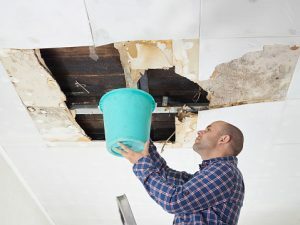 These problems can strike at any time, so here is a quick guide to two types of water damage you can easily avoid with enough effort. Yes, your pesky toilet can cause you untold amounts of grief. They are needy things, aren’t they? You have to constantly clean them and make sure they aren’t clogged or blocked – either with flushable wipes, toys, or food particles. When your toilet overflows, it can be a panic-inducing moment. But never fear, because avoiding water damage from your commode doesn’t require that much out of the box thinking. Whenever a toilet stops working, you’ll know because the water can get everywhere – and even if the water in the bowl is clean, that is still a massive amount of damage you didn’t have to deal with before. Your walls, floors, and ceilings can all fall victim to this plumbing disaster. The closest home improvement store could provide you with the parts you need to make a quick fix. But what if they don’t have if you need? It’s time to call the professionals at Master Plumbing. Flooding can happen at any time, and cause the most water damage imaginable. Pipes and plumbing will be all over the place inside your home, but since they are out of sight, chances are they are typically out of mind as well. But then some sort of disaster happens, and you can blame it on faulty plumbing. If you hear odd noises when the water is running, that’s not a good sign. If your home’s plumbing is in desperate need of upgrades or even a complete redo, then you know who to call! This entry was posted on Friday, January 5th, 2018 at 7:27 pm. Both comments and pings are currently closed.